A U C T I O N S ! Members and the public can place up to 30 items for auction. Minimum bid is $1 per lot. 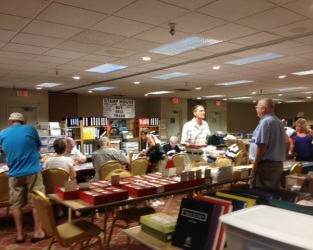 All lots must be philatelic (collections, single stamps, old envelopes, picture postcards, etc.) related. Preview of lots begins at 6 pm. Auction begins at 7 pm. * If you need forms for the auction, please send an email to bob@idahostamphouse.com. ​Beginner to advanced collector come enjoy some fellowship and free appraisals. Questions answered! Non-members are most welcome to attend. If you have a collection that you'd like to dispose of, please feel free to bring it in for a free evaluation and possibly sell. A local stamp dealer will be in attendance.